As you prepare for your historic summit with North Korean leader Kim Jong-un, you are probably now being bombarded by the voices of talking-head pundits on cable television and newspaper columnists all warning what a bad idea this meeting is, and the many ways it can go wrong. As someone who advocated more than a year ago for you to meet Kim – I called it your “Nixon to China” moment – I would like to give a counter view to those many sceptics and naysayers. I think your meeting with Kim is a great idea and, if handled correctly, could produce positive results. And here I would like to humbly and respectfully offer a few suggestions on how to make sure the summit goes right. At the outset, I am heartened that you agreed to meet Kim without preconditions, dropping the earlier demand that North Korea first show evidence of a total, verifiable and irreversible commitment to denuclearisation. Of course Kim was never going to abandon his nukes before the start of talks, since that would amount to a capitulation, not a negotiation. You have taken a reasonable position, recognising, it seems, that your ultimate goal – ridding the Korean peninsula of nuclear weapons – is the end game of any talks, not the starting point. Here are a few simple suggestions that I believe will guarantee the June 12 summit is viewed as a success. First, see this meeting as the beginning of the process, not the end. Resist the urge to go for the Big Deal or strike a grand bargain that might win you the Nobel Peace Prize. See this meeting as about building trust, and then turn it over to the diplomats and the nuclear experts as quickly as possible to begin rolling up their sleeves and hammering out the nitty-gritty details. Expect the negotiations to take years, not weeks or even months. Second, keep the focus on the immediate threat to the United States and the region, which is North Korea’s nuclear arsenal. As abhorrent as the Kim regime is, these are not talks to force Kim to open up his concentration camps or curtail North Korea’s bromance with Syria. This is about curtailing the nuclear threat and nothing more. Anything else will smack of “regime change”, and the North Korean side will walk. Third, do not be fooled into thinking that your promises of a new dawn with riches and McDonald’s franchises will be enough to convince Kim to give up his nuclear arsenal. We tried that before. In 2011, the American team under president Obama negotiating with the North Koreans held out the same promises, and used the example of Myanmar as a precedent. 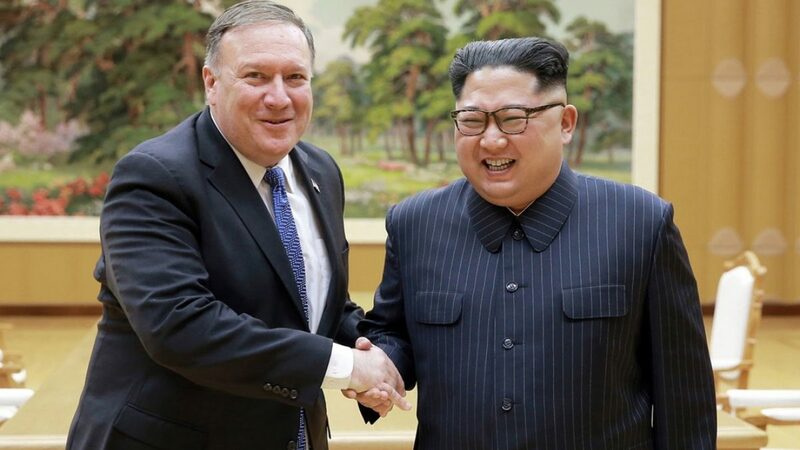 They told the North Koreans to just look at how rapidly the United States was able to shift its relationship with Myanmar after the liberalisation there, with a targeted easing of sanctions. The North Koreans were not persuaded. Fourth, keep your friends close. You may be sitting down alone with Kim, which is historic for a sitting American president. But there are others with a major stake in the outcome of any talks. There is South Korea, which would like a peace treaty, more family reunification visits and a return to joint projects like the Mount Kumgang Tourist Resort and the Kaesong Industrial Park. There is also Japan, which sees a direct threat from North Korea’s missiles and would like a full accounting of its citizens believed kidnapped by Pyongyang during the 1970s and 1980s. These are side issues – remember, these talks are about the nuclear arsenal – but you need to convince your friends that easing the nuclear threat can lead to eventual progress on other issues. Fifth, keep your enemies even closer. With North Korea, never forget that China holds most of the cards. China is North Korea’s principal trading partner, it supplies most of its energy needs and serves as the country’s economic lifeline. It was China’s agreement to go along with the stiffened international sanctions that is believed to have brought Kim to the bargaining table. China can equally decide to ease sanctions, if President Xi Jinping decides Kim is making sufficient concessions. You need to keep China on the same page as you. Also, keep your eye warily on Russia. Vladimir Putin is not your friend, and he could try to throw a wrench into any peace process. Finally, Mr President, while I understand that you are not a particular fan of history, and you have an aversion to following in the path of your presidential predecessors, I would encourage you to at least read up a bit on the history of some past summits, particular those meetings between Ronald Reagan and Mikhail Gorbachev. Reagan and Gorbachev’s first summit, held in Geneva in 1985, yielded very little, as the two sides argued over the nuclear arms race, human rights, emigration and which country was being the most belligerent. It took two years, more summits, and a lot of tireless diplomacy in between, until Reagan and Gorbachev were finally able to sign the treaty eliminating their intermediate-range and short-range missiles. The lesson is that it took time, patience, multiple summits and hard work (see point one above). And here is one last word of advice, Mr President – do not smile. When you shake hands with Kim and stand for the inevitable photo op, remember that you are in the presence of a brutal dictator who has killed and imprisoned dissenters, including his own relatives. Try to resist the urge to grin too broadly or mug for the cameras. President Obama was sharply criticised for appearing to laugh it up with Raul Castro at a baseball game in Havana in 2016, during the first visit by an American president to Cuba in decades. You should remember, President Trump, since you were among the harshest critics.